Photographic copy of a portrait lithograph made by Herman John Schmidt (1872-1959), from Auckland, of Vice-Admiral Robert Fitzroy (1805-1865), Governor of New Zealand 1843-1845. Via Wikimedia. 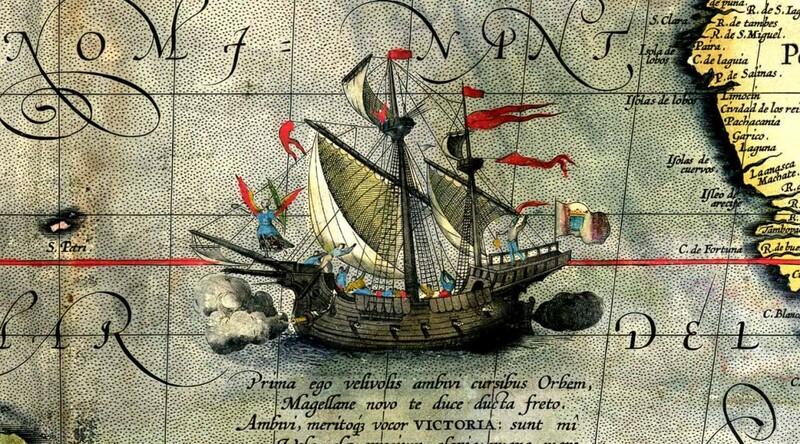 Dutch map of the Moluccas. Via Wikimedia. Coelho, Paulo, and Alan R. Clarke. 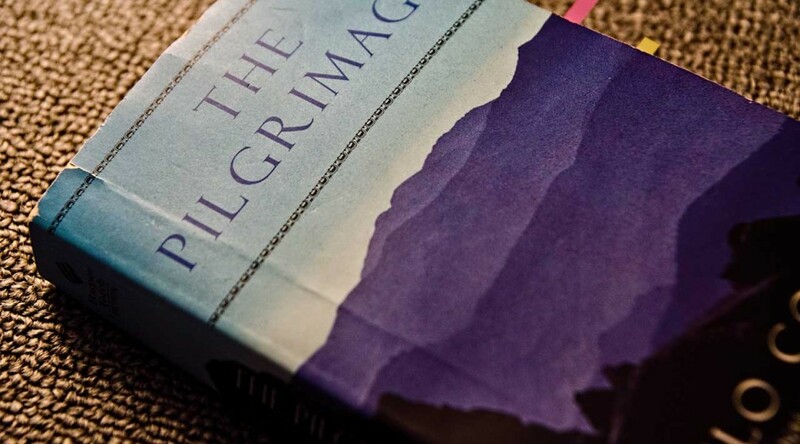 The Pilgrimage: A Contemporary Quest for Ancient Wisdom. New York: HarperTorch, 2004. Print. First ed. 1987. 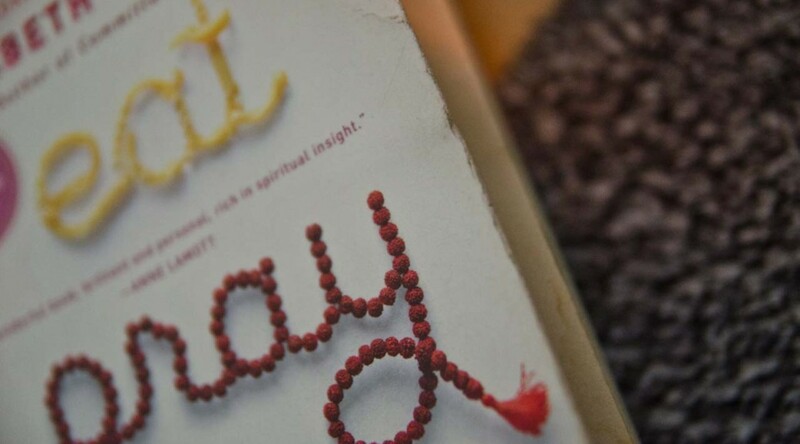 “- I say! Look what he’s doing! -I say …He’s a queer old josser! 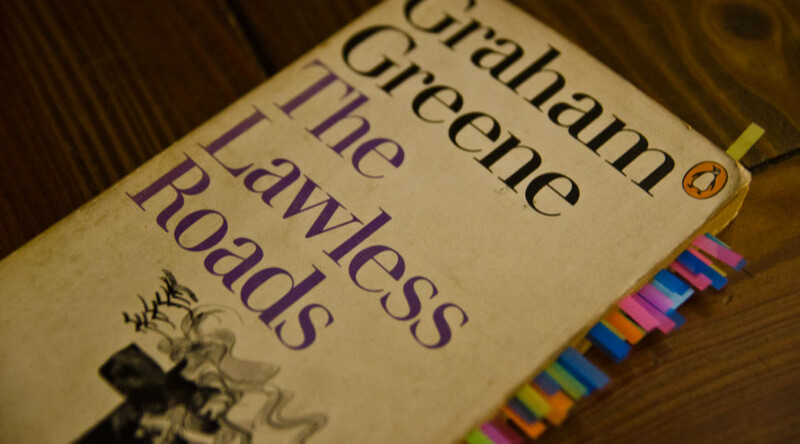 “I allowed the two pennies to fall against the sixpence in my pocket. I heard a voice call from one end of the gallery that the light was out. The upper part of the hall was now completely dark. “-There’s no tumblers, said the old man. “Then he took up the corkscrew and went out of the door sideways, muttering some form of salutation. -That’s the way it begins, said the old man. Soldiers at Dublin Castle, c.1905. Via Wikimedia. 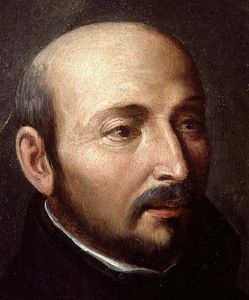 Saint Ignatius of Loyola, first Superior General. Via Wikimedia. 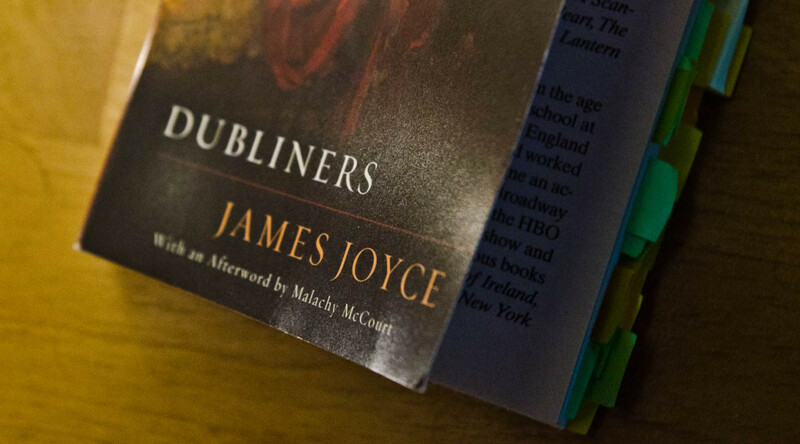 “And everything went on beautifully until Johnny came in sight of King Billy’s statue: and whether he fell in love with the horse King Billy sits on or whether he thought he was back again in the mill, anyhow he began to walk round the statue. Brooks, Max. 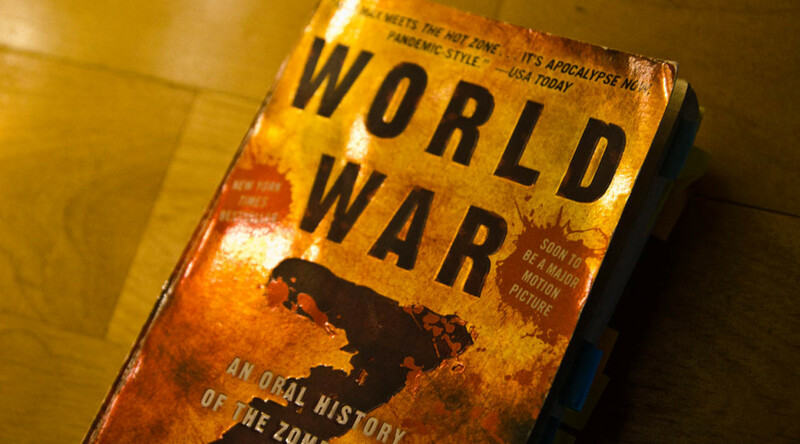 World War Z: An Oral History of The Zombie War. New York: Broadway, 2006. Print. 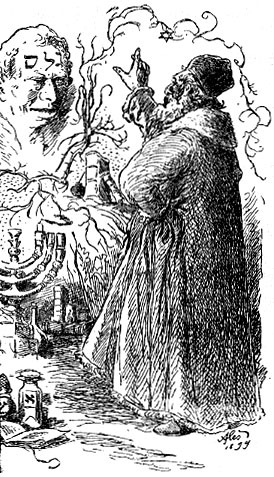 Rabbi Loew and Golem by Mikoláš Aleš, 1899. Via Wikimedia. Vo Nguyen Giap in 1954. Via Wikimedia. The Japanese wind god Fūjin, Sōtatsu, 17th century. Via Wikimedia. Guillebeau, Chris. 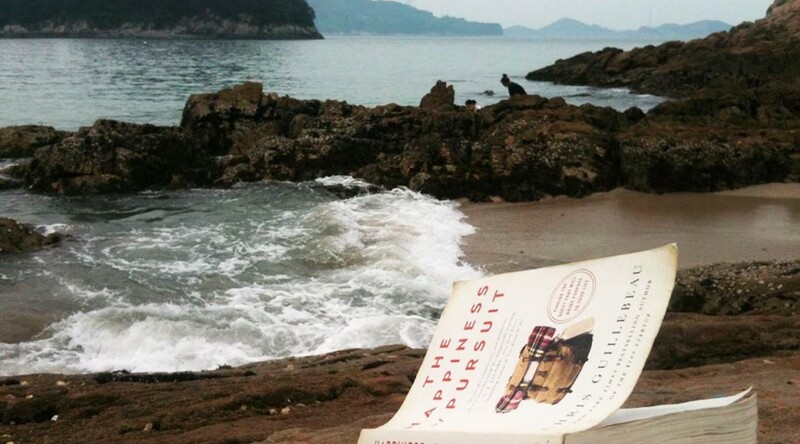 The Happiness of Pursuit: Finding the Quest That Will Bring Purpose to Your Life. New York: Harmony Books, 2014. Print. 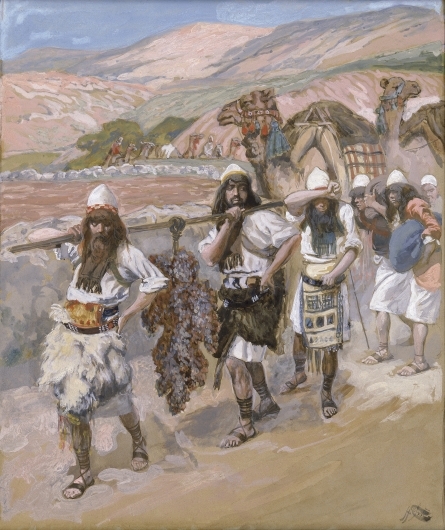 The Grapes of Canaan (c. 1896-1902) by James Tissot. Although the spies brought back a cluster of grapes so large that it took two men to carry it (Numbers 13:23), only two of the twelve brought back a good report of the land. Dekker’s solo circumnavigation route 2010-2012. Via wikimedia. “Always keep Ithaca on your mind. “How long will it take me to save this amount of money? Is there any other way to get the money (crowdfunding, selling something, extra work…? Do I need to wait to start until I have all the money? Plan Roms im Altertum. Via Wikimedia. Saint Teresa of Ávila by Peter Paul Rubens. Via Wikimedia. The Meeting of Saint Anthony and Saint Paul, Master of the Osservanza, 15th century. Via Wikimedia. Travels of Marco Polo Wikipedia entry.